Whose voice needs to be heard? The Church is being reminded by Pope Francis of the insight of the Second Vatican Council, that the fundamental sacarament is baptism. All the baptised are responsible for the welfare of the household of the faith. So, the Church’s missionary and pastoral priorities are discerned by consulation with the faithful at the parish level. Synodality, the word that describes all this, now has to be taken into the Church’s structures at national, diocesan and parish level. That is an immense challenge. Let us go forth with courage and in hope. Round 2 of our Diocese-wide listening sessions have been completed. Bishop Michael has declared that in March 2019 there will be a Diocesan Assembly held. Our Diocesan Assembly will take further the issues that have been raised in the listening sessions. 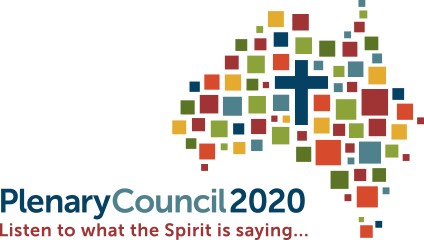 Ms Lana Turvey-Collins, the facilitator of the preparation committees for the 2020 Plenary Council, attended our recent Diocesan Assembly Taskforce meeting. She was in admiration of the listening that has happened in the Diocese and commented how it was very much in line with the Plenary Council approach and the ideas of Pope Francis.